The research of Anja Palmans develops along two lines. The first is aimed at mimicking multistep synthesis as it occurs in Nature. This allows for reduction of the need for purification procedures, and limits costs and waste in the production of complex organic molecules. To achieve this she evaluates the physical separation of multiple catalysts using synthetic polymers that fold into well-defined three-dimensional structures. This compartmentalization of catalysts is achieved through self-assembly of pendant recognition motifs in the polymers. The water-soluble catalysts thus formed are investigated for their application in complex media, with the aim to combine natural and non-natural catalytic reactions but also to catalytically activate prodrugs for cancer therapies. The second line concerns the control of the dynamic behavior of supramolecular copolymerizations, especially the exchange dynamics that represent the equilibrium between the monomer and the polymer. Copolymerizing supramolecular monomers with distinct differences in the dynamic behavior of their respective homopolymers could provide a handle to control the overall exchange dynamics of the supramolecular copolymer, and hereby their stability and function. Anja Palmans studied chemical engineering at Eindhoven University of Technology (TU/e) and received her master's degree in 1992. 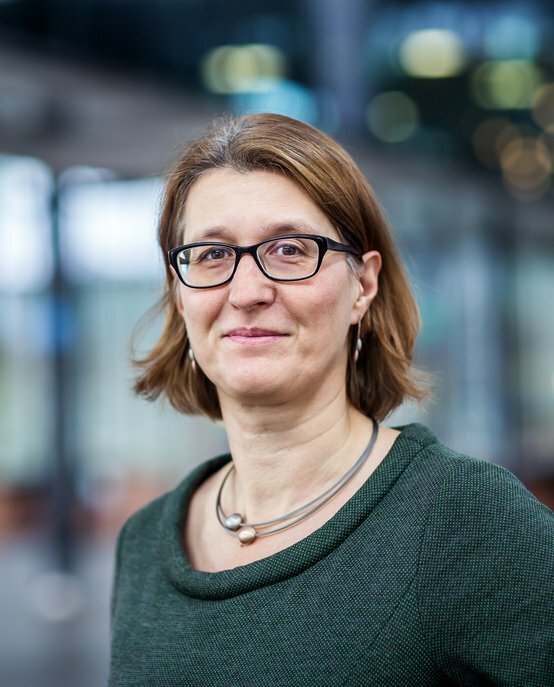 She continued with PhD research in the group of Prof. Bert Meijer where she obtained her doctorate in 1997 with her thesis 'Supramolecular structures based on the intramolecular H-bonding in acylated 3,3’-diamino-2,2’-bipyridines'. In 1998 and 1999 she was a postdoc researcher in the group of Prof. Paul Smith at ETH Zürich (Switzerland), after which she started working at DSM Research (Geleen, The Netherlands). In 2002 she returned to TU/e as NRSC-C Fellow at the Laboratory for Macromolecular and Organic Chemistry where she became assistant professor in 2005. Since 2010 Palmans is an associate professor at TU/e. In 2013 she was at KIT (Karlsruhe, Germany) for a three months sabbatical.